John Ireland received his Ph.D. from the globally-ranked IESE business school in, Barcelona, Spain and earned his B.S. in Business Administration from the University of Southern California. 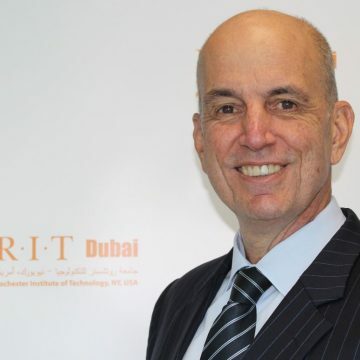 Prior to joining RIT Dubai, he was Associate Professor at the Canadian University of Dubai, and Director of the MBA, EADA (Spain) and IESA (Venezuela) where he was Professor of Marketing & Strategy and headed the department. His current research centers on Islamic marketing and Marketing to the Base of the Pyramid. He has consulted a number of multi nationals on marketing strategy, CRM, ECR, BOP marketing and marketing research. Clients include: Liberty Seguros, Pepsico Europe, Grupo El Palmar, Zurich Financial Services, Kellogg’s, Accenture, BASF, El Universal and Cargill. Prior to joining academia, he worked as a Senior Planner in top engineering firms internationally.